Perfect for sports and outdoor activities. The sport accessories will allow you to film great footage in a variety of activities. Perfect for mounting on a car, boat, bike, ATV, helmet and more. 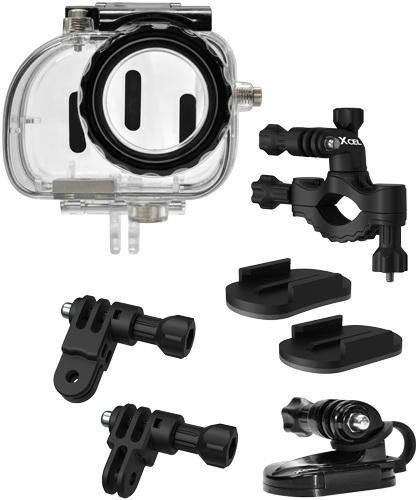 Includes 6 mounting accessories and a clear waterproof housing. Compatible with all SpyPoint XCEL™ action cameras and mounts.